THE weather is warming up, which means the chance of seeing a snake on your property is increasing. Jake Hansen from Orange Snake Service said there isn’t anything people can do to stop snakes from slithering into their yards, but there are ways to discourage them from staying. “One of the things to realise is that snakes don’t just materialise out of nowhere; just because you don’t see them doesn’t mean they aren’t there,” he said. “We live in Australia and in a regional area, so the reality is that there will always be snakes around. Mr Hansen said snakes, like many other animals, are looking for three things: shelter, food and water. Among the simpler of things to do to limit your property’s appeal is to keep grass cut short and the yard free of debris that snakes can use for shelter. Concrete slabs, piles of rocks or wood, sheets of corrugated and unkempt garden beds are all considered good places to hide. “If a snake has shelter, it feels more secure and the less likely it is to move around,” Mr Hansen said. People with chickens and bird aviaries are at a higher risk of coming across snakes as any food left out attracts rodents, which in turn attracts snakes. Eastern brown snakes are common around the Central West and this species loves to eat mice. “If you have a rat or mice problem, don’t be surprised if you have an eastern brown snake around,” Mr Hansen said. If a snake does come onto your property, Mr Hansen advises people to leave it alone and let it pass through. 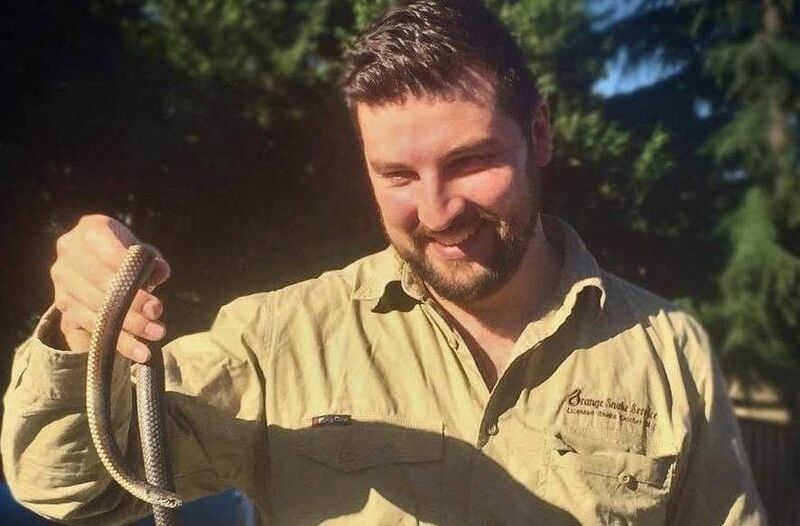 “If they weren’t comfortable with the idea of a snake passing through ... the next best course of action is to get someone who is experienced in handling reptiles to relocate the snake to a different area,” he said. Sometimes snakes can end up inside a house, usually for food or to escape the heat. In this instance, Mr Hansen recommends containing the snake to one area and calling a professional, licensed snake catcher to remove it. While waiting for them to arrive, keep track of its movements so it can be found easily. “Just watch it from a distance where you don’t pose a threat to the snake,” Mr Hansen said.